1. As he does whenever there is an event of historical important at the little gem in the Fenway, Globe columnist Dan Shaughnessy pulled out the “fans will lie and say they were there” card in his Sunday column about Clay Buchholz’s no-hitter. But Jose will not be any wannabe whose claim is in doubt. Jose will be able to prove he was there. 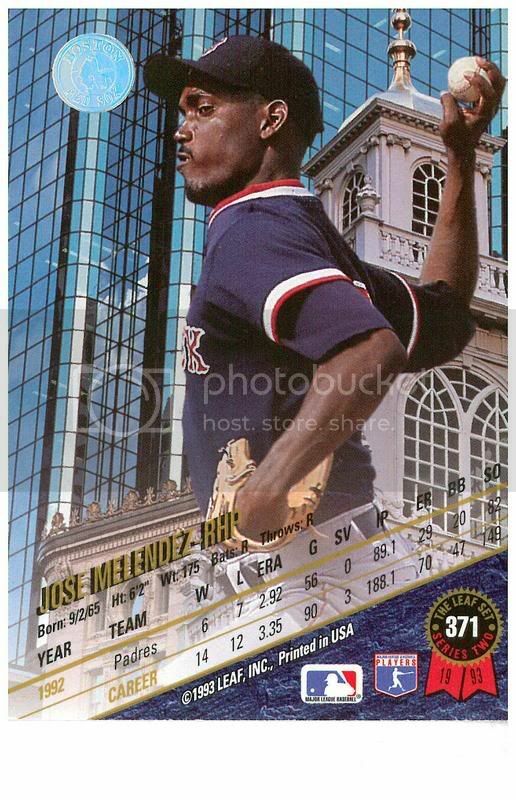 When threatened with well-honed accusations of lying, Jose will unsheathe his two section 17 tickets, in what the comic book collectors call mint condition, from their Mylar scabbards and wave them like a sword of truth at any who dare call him a wannabe. These tickets, a part of Jose’s duly purchased cut of a local notable’s season package, are proof of Jose’s slightly obstructed view of history. Yes, for all those empiricists who believe in truth, Jose will rebut your most deeply cherished ideas when he proves, beyond a shadow of a doubt, that he was at a game he never attended. Jose should have attended, sure. He had the tickets; he had the time. What he did not have was the good sense to check his calendar on Friday to see whether he had tickets for the weekend set. Oops. Jose knew he had no remaining tickets for August. But what he did not know was that as of Saturday, August had gone the way of the mastodon. Thus, for the second time this year, Jose missed a game for which he had purchased tickets-- the Mother’s Day Miracle and the Buchholzno-hitter. Jose must, like so many natives of Baltimore, be desperate to avoid seeing the Orioles. Jose’s behavior is inexcusable. It is a failure of the over-privileged. Like a great, large gourmand throwing a leftover pound of veal to the dogs while children starve outside his door, Jose’s waste is a sin. Jose has always thought of himself as a modest and humble man, not prone to excess or waste, but he has proven his self-image is not more than that, an image, a pleasantly twisted reflection of the wasteful glutton he has become. Whatever he believes now, the instant Jose wins the lottery, it will be gold-plated toilet seats all around, except Jose will pay for them and then not even bother to pick them up front the gold-plated toilet seat store. There are, at day’s end, only two legitimate excuses for twice forgetting one has tickets in a single season: if one has Alzheimer’s’ or if it is 1997 and Steve Avery is the Red Sox prized free agent acquisition. And, for better or for worse (note: for better), Jose has neither excuse. 2. With Clay Buchholz having pitched a no-hitter, this seems as good a time as any for Jose to remind everyone that he came up with the term “claymydia” (note: or clay-mydia) first to describe the burning… umm… competitiveness of the rookie pitcher and the fever and discharge… of emotion he may cause in people exposed to his pitching. Of course, in many people claymydia presents no symptoms, which makes it even scarier. The only exception to Jose’s ownership of this term is, arguably, scientist Kerry R. Buchholz, who shares the name Buchholz and seems to write an awful lot about a disease called Chlamydia, which Jose assumes is some weird strain of Claymydia. There is also an identically named, yet completely unrelated disease called Claymydia, which presents in patients becoming fans of androgynous singer Clay Aiken. It is unrelated to the Buchholz disease and is classified as a mental illness. 3. In the sixth inning of yesterday’s Yankees-Mariners game, the Bronx crowd, reports the Boston Globe, began to chant “Let’s go squirrel” in response to a squirrel climbing on the screen attached to the right field foul pole. This was all well and good until rodent-faced catcher Jorge Posada took this as a call for him to come out and tip his cap. This was the most embarrassing mix up for a Yankee since third baseman Alex Rodriquez insisted that the entire musical genre known as the “blues” was about his freakishly colored lips.